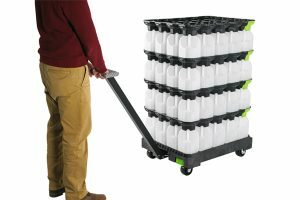 Bericap has created a new closure for aseptic PET bottles that provides the required UV light barrier while increasing the range of colours available to manufacturers. 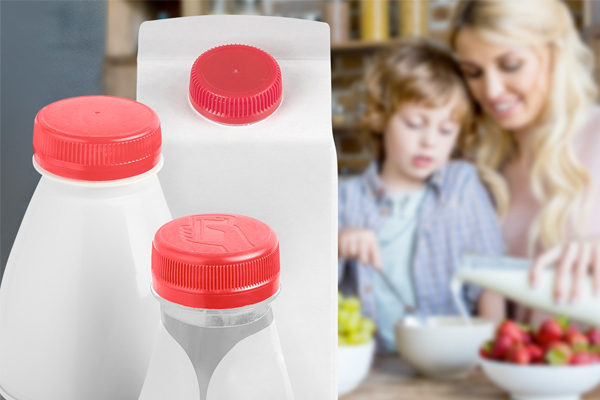 Long-life products such as UHT milk require packaging that meets optimum aseptic and hygienic standards and protects its contents from external influences for at least the promised shelf-life. 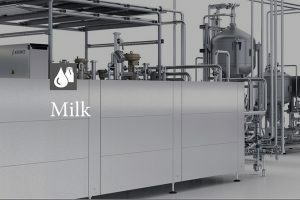 “While closures for fresh milk must be primarily liquid-impermeable because of their short shelf life, in aseptically filled products additional protection against the ingress of microorganisms and impact of light is crucial”, says Christoph Thünemann, group director communication and marketing at Bericap. For a long time, this greatly restricted the design of the packaging and the differentiation of the products at the point of sale. To achieve maximum opacity, special-colored master-batches that provide a UV barrier should be used. However, these limited the possible color variations. Bericap has succeeded in developing an optimal UV light barrier solution, which enables the production of screw caps in all colors. The product range encompasses light weight screw caps for 38mm neck and the 33mm neck and provides numerous customised closure solutions to the market. “Our closure solutions with incorporated oxygen scavenger – O2 reduced headspace bottles – provide maximum quality standards. And based on our vast experience in closure solutions for aseptic filling, we offer the necessary technical customer service, as well”, Thünemann explains.